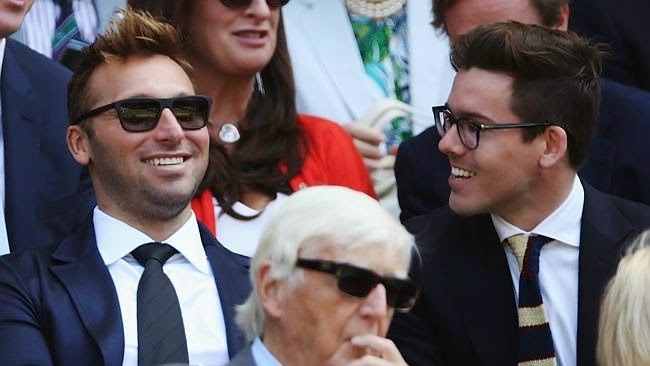 Josie's Juice: Ian Thorpe: "I'm gay." In news just in, Ian Thorpe has revealed to the world that he is gay. In an interview with Michael Parkinson, to air on Australian TV on Channel Ten tomorrow night, Ian answers Parky's question about his sexuality. "For the record, I am not gay and all my sexual experiences have been straight." In an interview with Leigh Sales in 2012, Ian was upfront about his life and his career. Here is part of the transcript. LEIGH SALES: You write in detail in your book about how hurtful it's been the speculation around your private life and around your sexuality, why has there been this level of intrusion around you that I can't recall seeing for any other athlete around this sexuality question? IAN THORPE: Yeah, look, the thing that I find hurtful about it is that people are questioning kind of my integrity and what I say. That's the only part that I find hurtful. Like is that, you know, this is something that I would be embarrassed about, that I would hide or whatever else. LEIGH SALES: Like what do you mean? What sort of things? IAN THORPE: For me, you know I'm a nerd; I'm just someone that happened to be good at sport as well. I educated myself by reading books on planes, travelling around the world, you know, I like beautiful things in the world, I like the aesthetics of those things. This is what I like. When I talk about it is I don't want to offend anyone that, you know, whether they're people that are friends that are gay or whatever else, I don't want to offend them by saying... getting angry about it, getting frustrated about it. The only part that I'm frustrated with is that people think that I'm lying. LEIGH SALES: You write in the book that the truth is I've spent most of my life trying to avoid relationships not just because of my demanding lifestyle as an athlete but because I have a complicated personality and it isn't easy to find someone who fits comfortably with me or me with them. Do you still feel that way? IAN THORPE: Yes. Look, I'm complicated but I'm quite simple as well. You can read the full transcript here, and watch the full video here.